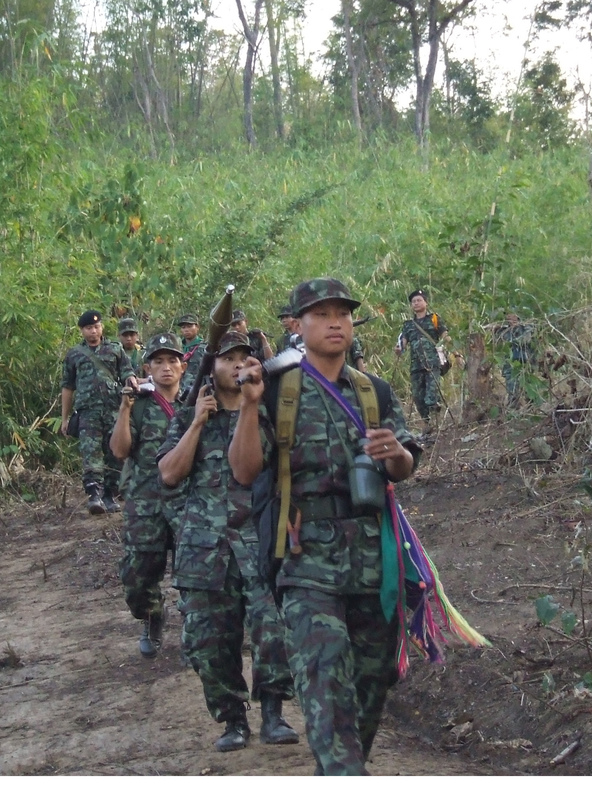 Karen National Liberation Army sources confirmed that clashes in May in the Walay area of Myawaddy Township between Karen fighters and the Burmese army had killed six Burmese soldiers and wounded seven others. Major General Saw Kyi Aung, commander of KNLA Battalion 201 who fought in the clashes, said KNLA forces engaged Burmese troops from Light Infantry Brigade 371 based near Paw Bu La Hta village in a skirmish that lasted about 20 minutes. The latest attack took place in an area that had previously seen heated skirmishes between Burmese troops and soldiers from a breakaway faction of the Democratic Karen Buddhist Army six months earlier when troops and officers of Brigade 5 withdrew from the Border Guard Force on the eve of national elections. The fighting then sent thousands of Karen villagers fleeing to neighboring Thailand. Some have since returned, but many still remain on Thai soil in makeshift camps. Walay is located about 20 miles south of Myawaddy town, and is a potential flashpoint where DKBA and KNLA soldiers and Burma army battalions routinely clash.